Opening reception on Friday 7.7. at 6 to 8 PM, warmly Welcome! Grey Heron is a collaborative installation between Hanna Marno and Ella Tahkolahti of the Oksasenkatu 11 gallery. It is the first part of a gallery swap between ID:I galleri Stockholm and Oksasenkatu 11 Helsinki. Grey Heron is a site-specific installation built for ID:I gallery that is a staged replication of the street view of Tjärhovsgatan. 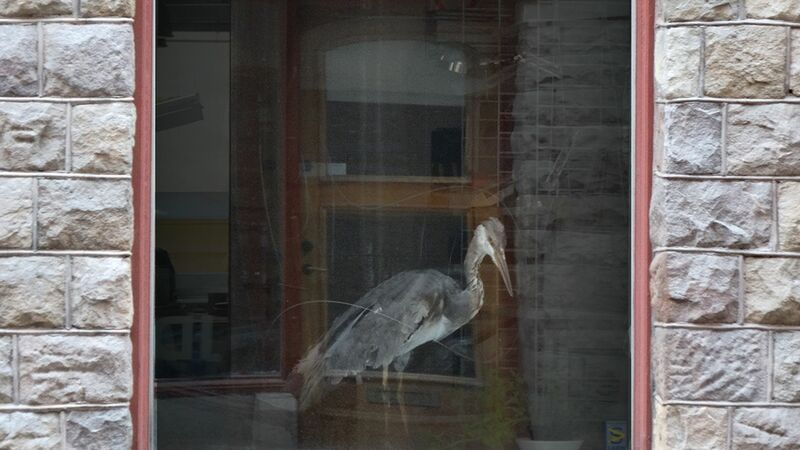 The taxidermic heron in the window of Öppet becomes a patient witness and a motive. In Egyptian mythology the Fenix bird is represented as a Grey Heron. Having that there is no knowledge of the reality that lies within the facade of Tjärhovsgatan, we decided to provide an alternative interior from the perspective of the Grey Heron. Ella Tahkolahti (born 1981 in Espoo) is a visual artist who works with installation and performance. Her main interest is in the relation of reality and image, the dynamics between spectator and the space, or the “non existing” artwork that only occurs in the encounter with the piece. Graduated from the Time & Space departement of Finnish Academy of Fine Arts in 2010. 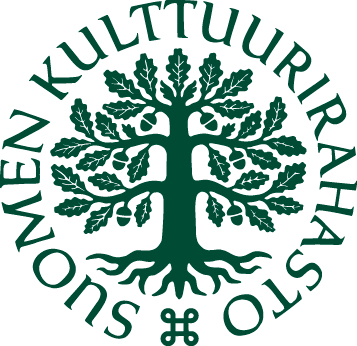 Member of Oksasenkatu 11 collective since 2014. Hanna Marno b.1981 is a Helsinki based artist who lives and works in Nummi-Pusula. Her work consists of fictional narratives, translation and manuscripts. She works with sculpture, poetry, still and moving images. She’s a member of the Oksasenkatu 11 gallery – artist collective since 2013. Concurrently she’s working on a street art project Horse Poem No. 1-23.